On Tuesday David Irving, former defensive tackle for the NFL Dallas Cowboys and Kansas City Chiefs, gave his first interview since he announced his retirement from football on March 8, 2019, while smoking marijuana during a live video stream from his Instagram account. Appearing on the Tiki & Tierney show on the CBS Sports Network, Irving said he would consider returning to play in the NFL if the league removed its marijuana ban while also pointing out that NFL players, not management, are ultimately responsibility for the league’s current stance on cannabis. On the surface it looks like an NFL problem but honestly, it’s a NFLPA problem. The truth is, we’ve (NFL players) accepted these terms (NFL management banning marijuana use by players) over the years. I don’t understand how, I don’t understand why, but we have. Now we’re (NFL players) in this position where want change and we’re mad at the NFL where it was our fault to begin with. 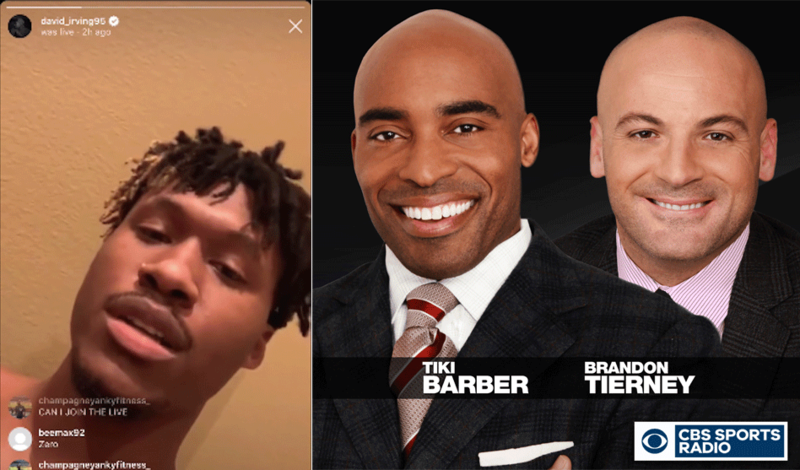 Irving, who told show hosts Tiki Barber and Brandon Tierney that he has been using marijuana, “since I was 12,” laid out a plan by which he believes NFL players could, in timely fashion, remove marijuana from the NFL’s banned substance list. Eighty percent of each (NFL) team participates in the use of medical marijuana. You think it’s that high? If I’m a (NFLPA) player rep for my team and we take all the player reps from every team, and we get all the players together and doing something together, what is the NFL going to do? We are the NFL. I think it’s about time we started acting like it. You do not have jersey sales without the players. You don’t have the NFL without us. So why are we settling? It is literally our job to get concussions every single day. We’re going to get hurt. And then they offer us opioids. The entire interview with Irving can be found here.